So happy to be welcoming in 2016! I’ve always had fondness for even numbered years. I had wanted to make holiday things with the kids, read and make some art over the winter break, but after finishing up 5 art shows in 8 weeks, I ended up being sick the entire time. I was so worn out that the cold took hold of me and I couldn’t shake it for 2 weeks! Even while traveling to visit family, I ended up getting a little worse. But now, I am on the mend and excited to bring in the new year. 2016 is certainly starting off with a bang. 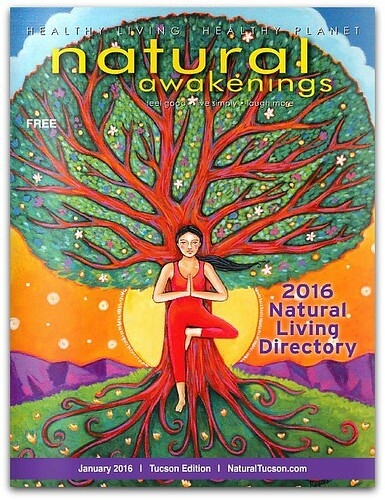 I am so honored to have my art on the cover of Tucson’s Natural Awakening for their January 2016 Natural Living Directory. It turned out beautifully. 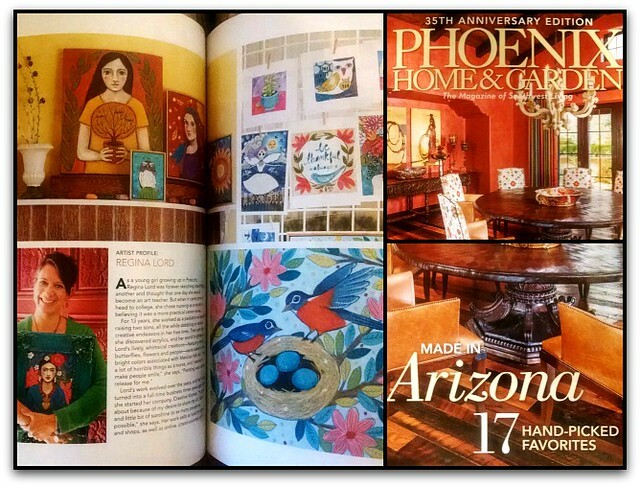 I am also one of the featured artist in Phoenix Home and Garden, Made in Arizona: 17 Hand-picked favorites. Such an honor! I am truly blown away by both of these magazine events. Feel like pinching myself! Thank you to everyone who has supported me and my art over the last year. It really was a great year and such a pleasure to meet so many of you at all of the local art shows. 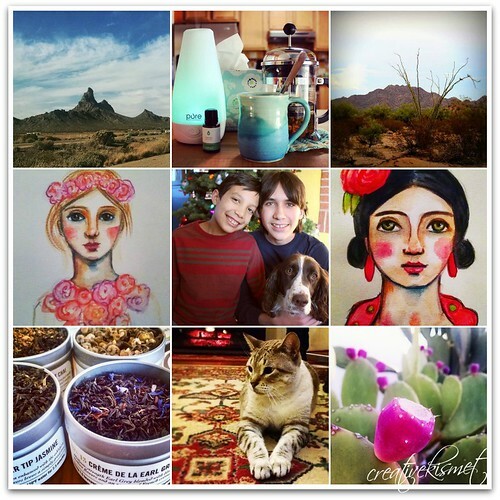 3 Responses to Happy 2016! I’m glad I’m not the only year – I LOVE even numbered years. I’m so happy for all your success this year and the magazine cover is awesome!! !